Divorce is a very confusing and trying time. It can take an emotional as well as economic toll. You do not know the answers or even the right questions to ask. And there is not a lot of information out there. 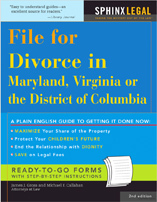 It is hard to find the right lawyer, financial planner or therapist experienced in divorce. Sometimes it is unexpected. It can be paralyzing. Yet it comes at you like a rushing train and you must make quick decisions that will affect you and the children for years or else they will be made for you. Most people survive divorce, but it is not easy, and some people do not get over it. Jennifer Morris is one who was able to turn her divorce (which she said was overwhelming) into something positive. She is putting together a divorce camp next weekend in Belle Plaine, Minnesota, where for $250 you can get lodging, meals and sessions with experts in all aspects of divorce. Learning about divorce is the best way to deal with it.